In addition to being given a new look, the website of THE MONUMENT has been upgraded with more and clearer content within its many pages. In an old-fashioned way, perhaps, there’s a lot of text — which, it seems to me, this topic deserves. The change has been guided by my colleague and friend Bill Boyle, whose SHAKESPEARE ADVENTURE page is going strong. We fully admit that this activity is in no small degree motivated by anticipation of the release of ANONYMOUS, the new feature film by Roland Emmerich, due in late September this year. 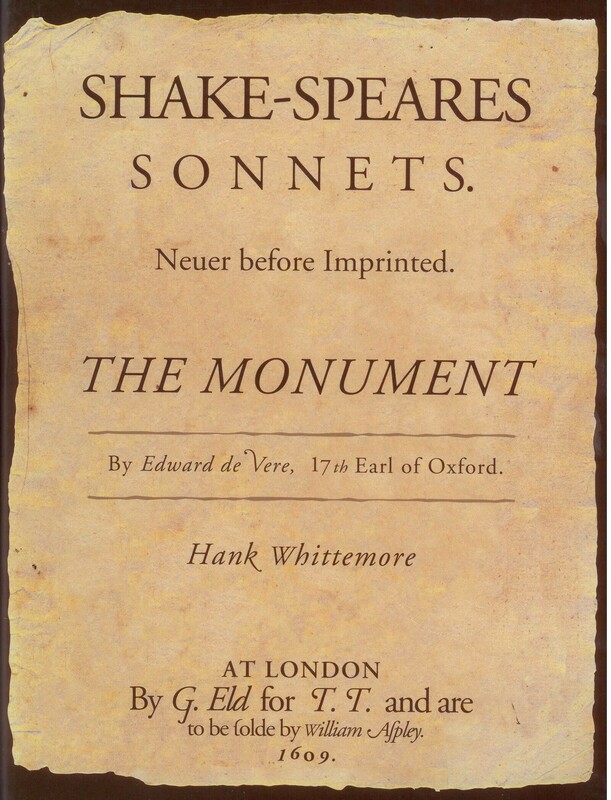 With the release of the very first major motion picture to feature Edward de Vere Earl of Oxford as “Shakespeare,” the all-important [that’s right] topic of “authorship” will be brought to many, many people who have never been told that any such question about the Bard’s identity has ever existed. Well, that’s a relatively big step; after all, students can’t go trying to solve a mystery if they don’t know it exists.